If someone asked you about Japanese economy cars that are inexpensive and popular for modifications, what would you name? The Civic, Celica, or 510? Well, you’re mistaken, old chum, because you can add another Datsun to that list – the B210. Wait, what? The Japanese car with the awkward design, gutless engine, and best known for its odd Honey Bee edition? Well, at the root of it all is a light car with rear wheel drive and a modifiable engine, so how bad could it be? 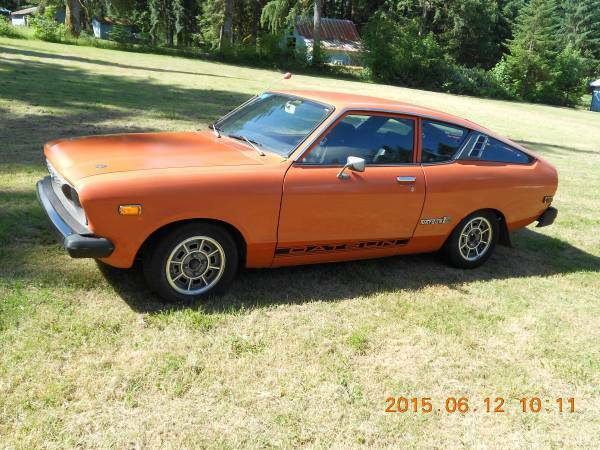 Find out by checking out this 1974 Datsun B210 for sale for $3000 in La Center, WA. One of the Datsun B210’s few redeeming features was the color palette – many of the bright safety colors of the early 1970s featured pretty heavily. You might still not like the way the basic car looks, but the seller has certainly made the best of what Datsun gave him by lowering the car, fitting possibly larger aftermarket wheels, and by doing his modifications on a 1974 car, which seems to have smaller bumpers. 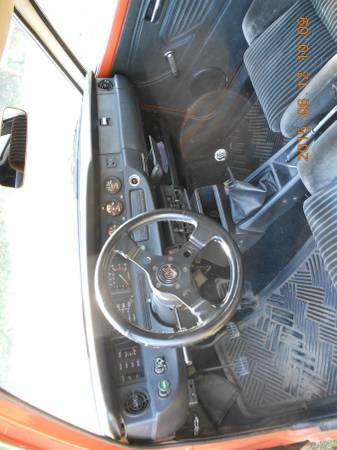 The seller’s improvements go beyond exterior cosmetics, as you can see – he’s added a sports steering wheel (Grant GT, unfortunately), sports seats out of a later Japanese car, and a set of 3 auxiliary gauges that, all together, do a lot to make the interior less dowdy. Everything also looks clean, and the most essential thing is that manual shifter in the center console. 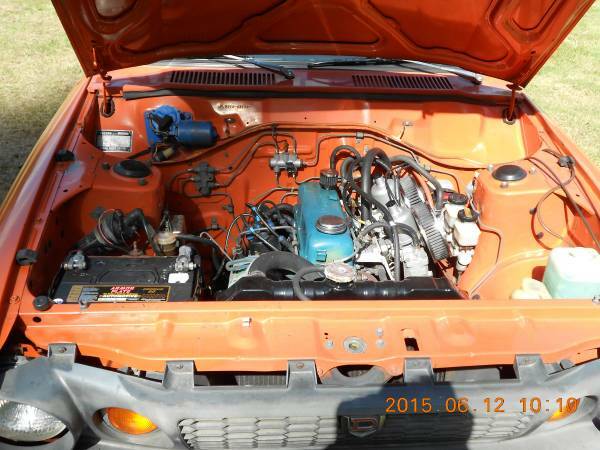 Critically, the seller has added “lots of race parts” – who knew racing B210s was so popular? – and claims 165hp from the engine. Be that as it may, even if that’s the old “pancake air filters = 30hp plus dual SUs = another 30hp” style of math, a Datsun that’s been brought along with dual carburettors and hopefully more that’s not visible here will be fun to drive, and just the right combination of fun and reliable for some back roads carving. Could you get beyond the odd looks (age has been kind to it) and poor reputation and use it to surprise GTVs and 2002s? This entry was posted on June 17, 2015 at 12:20 am and is filed under Feature. You can follow any responses to this entry through the RSS 2.0 feed. You can leave a response, or trackback from your own site. If only it wasn’t on the other side of the world from the east coast.